I love entertaining and have continued doing so in the small spaces I’ve occupied these past three years….not so much in this little place the past year, but I’ve had the privilege of using my sister’s home down the street to entertain when I wanted/needed to. I get so much joy from making new recipes (or old? 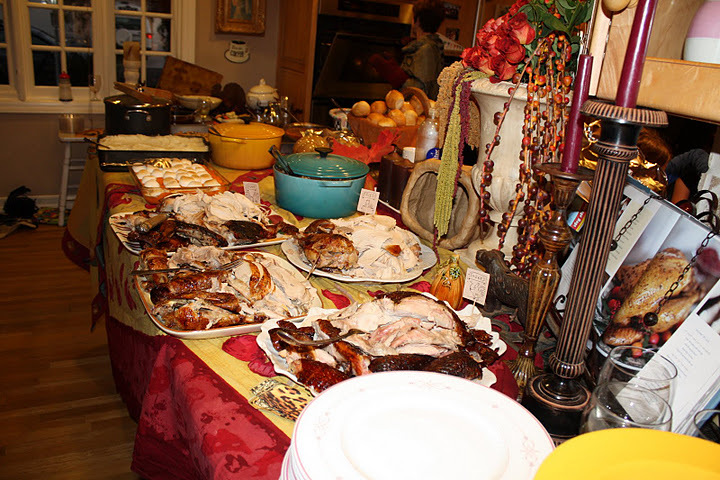 ), setting the table and sharing my space with those I cherish, whether family or friends. I think a lot of people have become intimidated by Martha Stewart and her grandiose way of entertaining and feel that they don’t live up to people’s expectations, and therefore don’t entertain….which is so sad. I, too, have a couple of Martha’s books, which are fine and have some great recipes, but one of my favorite entertaining/cookbooks that I’ve had for many, many years is called Effortless Elegance by Colin Cowie, a Hollywood event planner (out of print, but you can find used copies on ebay, etc.) (If you do need an event planner check out my friend (owner of Coast Concierge,) Rena’s book about entertaining titled “The WOW Factor”…she’s an amazing entertainer and event planner!) In his book, Cowie enthusiastically shows you how to entertain with ease and really enjoy your guests. One of the things that stuck with me from his book, even though he’s a hoity toity event planner to the stars, is that he says people just want to be invited over and enjoy your company, to which I say “AMEN.”. Everything doesn’t have to be perfect! He continues…if you hate baking there’s a bakery or store where you can just buy dessert. 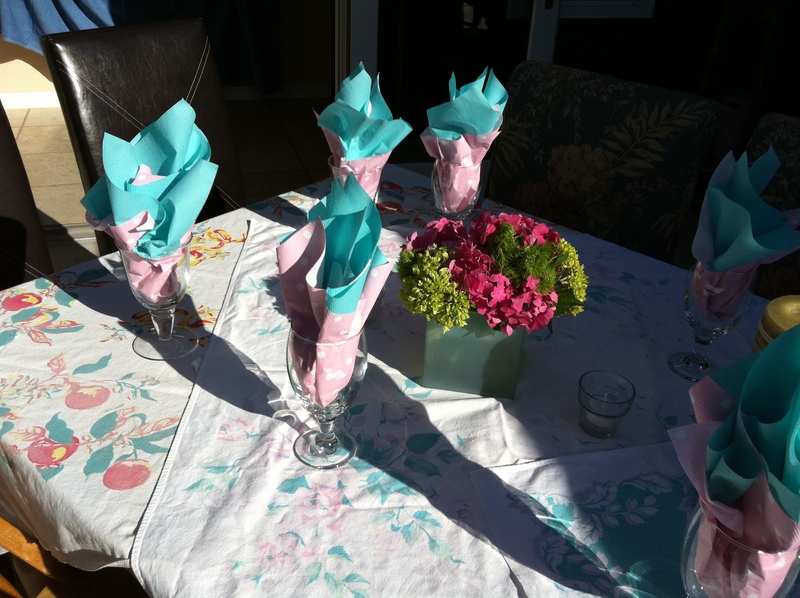 …or if you don’t have time to fuss, there’s a party idea that can come together in an hour. Heck, just have pizza or Chinese food delivered and enjoy the company of your friends and/or family. 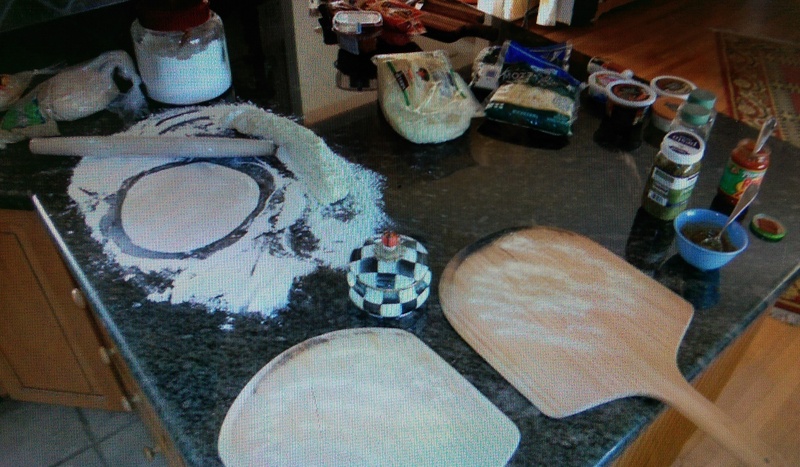 Pizza Monday is all about throwing ingredients on the counter and having everyone make their own…nothing fancy about it! My parents were very relaxed entertainers and always insisted that nobody get up and start cleaning dishes when everyone was finished eating. They might bring the plates over to the kitchen sink, but would sit back down and enjoy the people that they took the time to prepare a meal for. It wasn’t about the meal per se, it was about sharing their home and hearts with their friends, relaxing and chatting after their appetites satiated. Apparently I was paying attention, because that’s the way I like to entertain. Okay, I hate doing the dishes, but I just leave them in the sink and do them in the morning, or load the dishwasher after everyone leaves. Unless you have the threat of rodents or ants, the dishes aren’t going anywhere and will be happy to be cleaned in the morning if you’re too tired. I have many friends who like having the dishes done, which is totally understandable (…and I’m not judging) and can be a fun thing to do while chattering away in the kitchen helping one another get things in order…assuming you’re kitchen isn’t isolated from your guests. 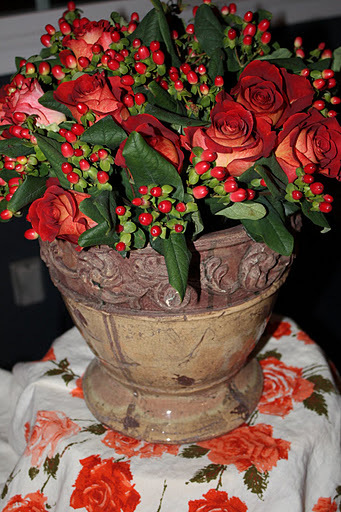 Besides the company of my guests, my favorite part of having a party is setting the table. I love a theme! ….but in the end I’m setting that table to enjoy the company of those I love. Invite your friends or family over this weekend and enjoy their company! I LOVE this post. Going to your family’s house for a party was ALWAYS looked forward to by all Wrights with great anticipation, because we all knew we would have a GREAT time. I was uncomfortable most of my life entertaining, because of the “perfection” factor, so I didn’t much. Thanks to helping put on dinners at the synagogue, I have been getting more comfortable with the how to’s of putting food and decor out for a lot of people, and it’s really opened up life to want to have people over now. Great post! I agree that Martha Stewart has scared off a lot of people from casual entertaining. I hope the tides turn with the next generation and that they go back to the real reason for entertaining…less about impressing and more about seeing & sharing with those you love! I totally agree! I love inviting friends over for dinner, a great way to try new recipes, better than meeting at a restaurant. Even better when it works out that my guests are coming the same day the cleaning woman comes (every other Friday)! Bon appetite!